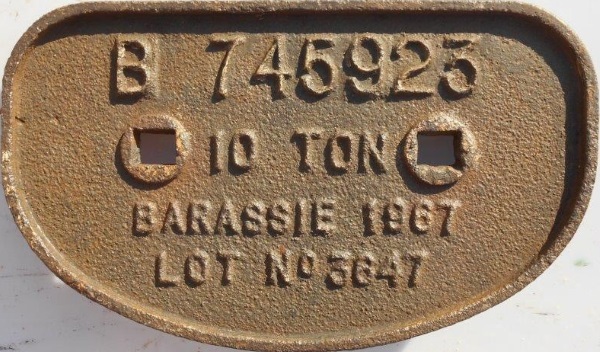 Lot 45 C/I "D" Shaped Wagon Plate "BARASSIE 1967 - 10Ton - B745926 - Lot No 3647". Carried by Car flat "A" (LMS 60ft Carriage Base. As removed.